It was a good night for Irish Life who picked up four prestigious awards at the Irish Pension Awards 2013 last night. Irish Life Investment Managers were awarded ‘Investment Manager of the Year’, Setanta Asset Management won the ‘Equities Manager of the year’ category with Irish Life Corporate Business winning both the ‘Communication Award’ and ‘Innovation Award’. The Irish Pensions Awards recognise companies who have proved their excellence, professionalism and dedication in maintaining high standards in Irish pension provision. On 15 October 2013 the Minister for Finance introduced the Budget 2014 and we would like to summarise the headline announcements which impact on pensions. We have developed a great new video for members of company pension plans. The video gives members a better understanding of how our Personal Lifestyle Strategy works. Irish Life Corporate Business is delighted to have been shortlisted for this year's Irish Pensions Awards. It is an age old question that has dumbfounded philosophers for thousands of years - the answer remains as elusive as it ever was. Irish Life is now part of the Great-West Lifeco group of companies, one of the world’s leading life assurance organisations. 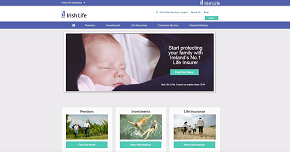 Great-West Lifeco is also the parent company of Canada Life. 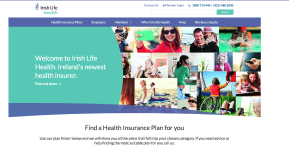 In addition to its newly-expanded base in Ireland, Great-West Lifeco has operations in Canada, the United States, the United Kingdom and Germany. 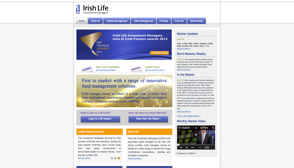 Mr Kyle is to be appointed CEO of Irish Life once the acquisition by Canadian firm Great-West Lifeco is complete. Final approval of the acquisition is expected in the coming weeks, at which point Mr Kyle will formally take up his new role. After revamping the Corporate Business website earlier this year we are now delighted to announce the launch of the new Investment Centre. The investment centre is full of new features and a wealth of current fund and market information.